Happy New Year to All! In the last quarter of 2018, we have continued to migrate Easyling’s features to the new user interface. Check them out! The first design of the new Project Overview, named Dashboard has been added on the old frontend. With that, the linked Project Dialog became part of the Overview, with better usability. 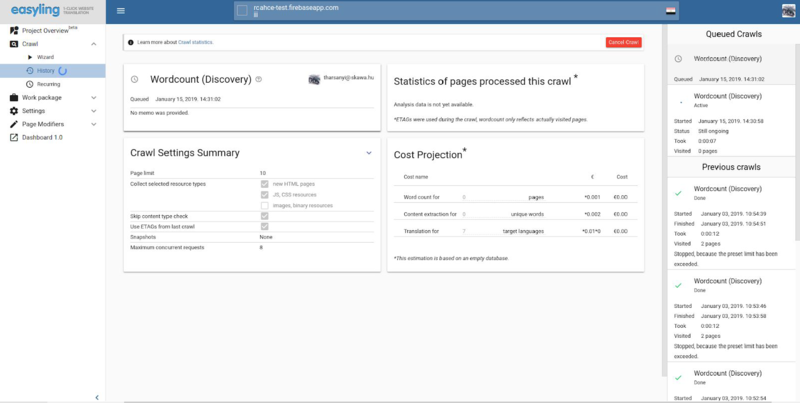 With the old crawl dialog’s deprecation, some of the features from the previous Content/Discovery UI have been moved here – they are, for the most part, independent of the Crawl Wizard, but until we can find them a better home, they will reside in the Overview. During this year, we’ll keep adding more info cards here. For more descriptive names, we’ve renamed the Cache to Snapshot. 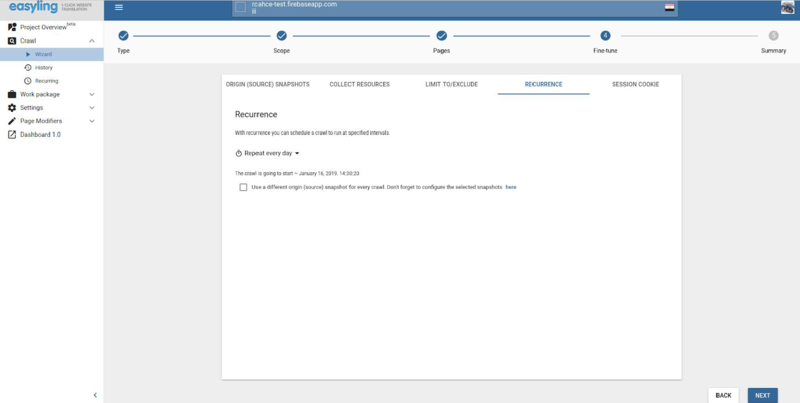 Thus, Source Cache becomes Origin Snapshot, while Target Cache becomes Translation Snapshot. 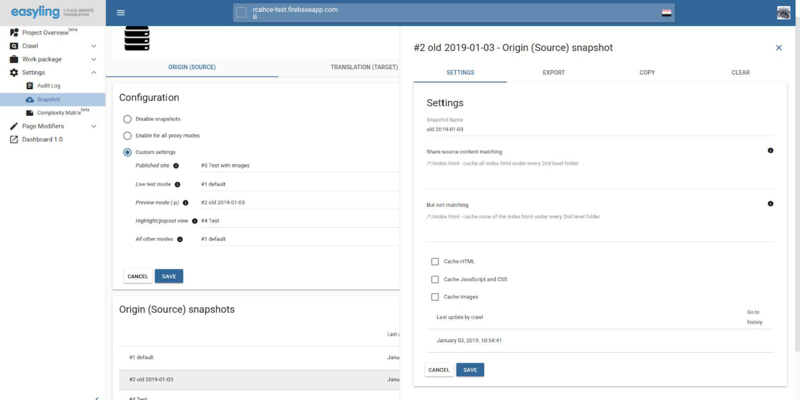 We’ve transferred the whole feature to the Dashboard 2.0 with some new addition: Snapshots can now be copied, Translation Snapshots can be exported, Origin Snapshots can store images now, and going forward, the Origin Snapshot will contain the date and link of the last crawl have updated the given snapshot. We’ve moved the entire section to the Dashboard 2.0 with a bit of “sugar”. 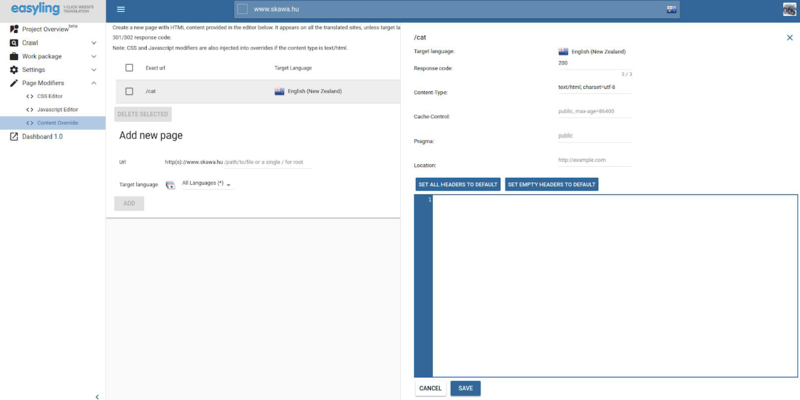 The page content overrides can now be target language specific, which will be used with higher priority then the non-specific ones. First of all, old crawl dialogs are now deprecated and have been moved to Dashboard 2.0. 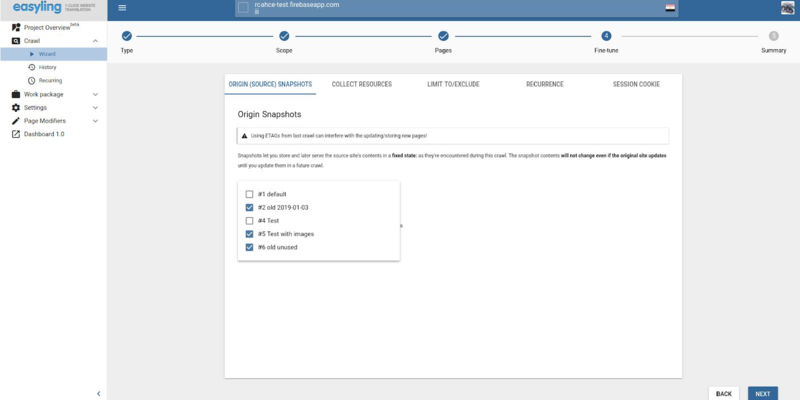 For recurring crawls you can select multiple Origin (source) Snapshots, and the next crawl will start with the next one from the list in a round-robin fashion. Lastly, normal crawls can be queued up, which means that you can set up a different crawl which will start 15 minutes after the current one has finished. We have also moved the old Content >> Work Package feature to Dashboard 2.0. And finally, a heads-up to our users who plan to attend memoQfest 2019 in Budapest between 29-31 May. After last year’s get together, we are planning to organize another session for our advanced users to ask questions, provide feedback and discuss the state of Easyling with our team! The anticipated date of the Master Class is May 27 or 28 – depending on memoQfest’s pre-conference program.